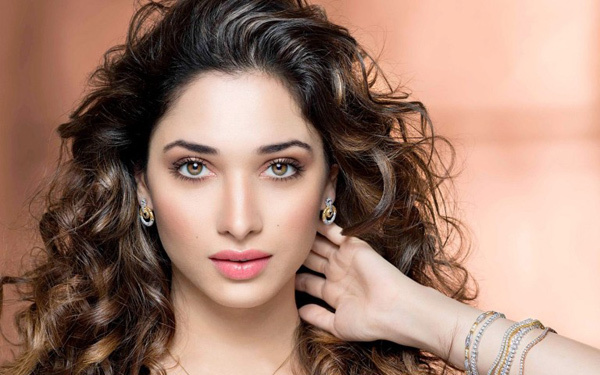 Of late, strong buzz was in the gossip circles that the gorgeous diva Tamannaah Bhatia is soon going to get married. The actress was allegedly reported to tie knot with a computer engineer who she apparently has known for years. The news also provoked sparks on whether the actress will continue working post her marriage thereby making comparison with other south actress. Denying the news, the actress clarified in a statement, "This is a false news, I am not getting married. The day I get someone in my life, I will let the world know about it first." The 'Himmatwala' famed beauty further added that she is busy with her work projects. "I am currently busy shooting for Prabhu Deva's next and few south films," remarked Tamannaah. At the work front the 'Baahubali' actress, recently delivered a hit with her south flick 'Oopri'. Tamannaah is reportedly going to be seen in Rohit Shetty‘s next with Ranveer Singh and Prabhu Deva's next. In fact, her songs have been so popular that music apps have created special playlists of her hit songs. As majority of the party songs have an association with Jacqueline, music apps have curated playlists dedicated to the actress. The actress has set the dance floor ablaze with her jaw dropping chartbusters. On the movie front, Jacqueline has an exciting year ahead, with 3 back to back releases - 'Housefull 3', 'Dishoom' and 'Flying Jatt'.